This week we opened our development office in Caro for our Cross Winds Energy Park in Tuscola County. The field office is located right in Caro, Michigan at 101 N. State St., across from the Strand Theater. Cross Winds will be our second wind park. Construction on this 150-megawatt wind park is planned for 2014 with commercial operation of phase one scheduled for the end of 2015. 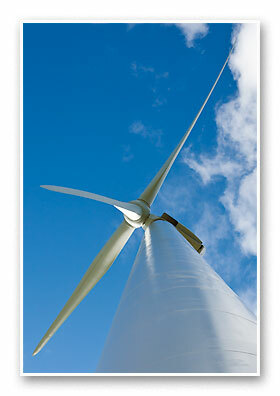 Last year we started construction on Lake Winds in Mason County, our first wind park. The Cross Winds project is expected to include about 150 construction jobs and up to 12 full-time operator positions. Consumers Energy has 22,000 acres under contract for possible wind turbine locations, and has 5 meteorological towers collecting data on wind patterns. Electricity from Cross Winds will help Consumers Energy meet its 10 percent renewable energy requirement. Dennis Dobbs, our vice president of generation engineering and service, noted the warm reception we’ve received from Caro, local and state officials to our $250 million investment in Tuscola County. “While Consumers Energy is an established natural gas provider in Michigan’s Thumb, we look forward to building on our good neighbor reputation with the Cross Winds Energy Park,” Dobbs said.